The questions are now going from "when are you due?" and "are you finding out the gender?" 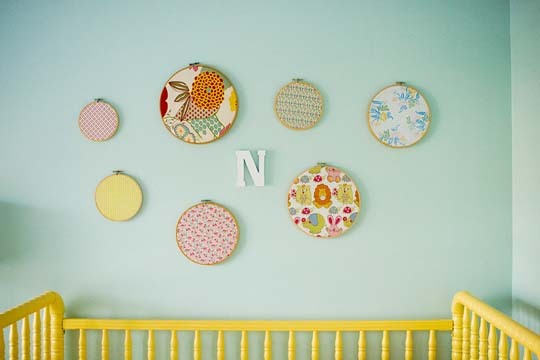 to "what will your nursery look like?" In my former life, I was an interior designer. 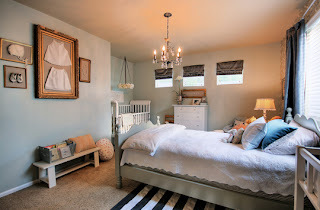 Having the pressure of the "perfect" nursery is in the back of my mind but I am slowly getting over this fear and deciding to just go with my gut. Since we will not be finding out the gender, I take on the challenge of designing a "gender neutral" nursery. Oy vey! All I do know at this point is the nursery will be have a 'collected' style. My house has no theme to it what so ever, just a bunch of collected items with a ton of stories. Some may say it's a collection of old and chippy junk, but I say to them "Your trash is my treasure." 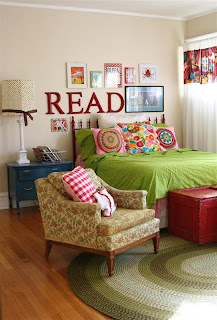 That's what I want for my babies room. 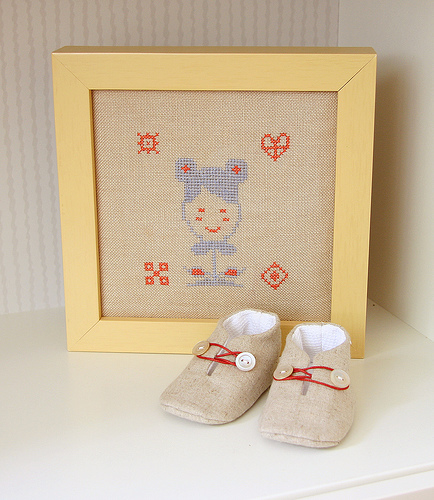 I have collected items for my little one's room (more of that to come) for many years. 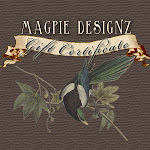 I know, you are probably thinking I am a pack rat, but really, I promise, I just like old and chippy things. I have gathered some inspiring nursery designs and ideas...take a peek! 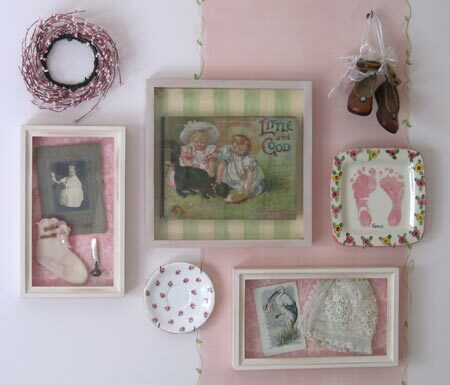 This collection of pictures, vintage plates and other miscellaneous decor is adorable. I love the floating frame idea with vintage baby clothes and shoes. I have a collection of empty frames that would love to leave my damp and scary basement. OH MY, I just adore these embroidery hoop fabric swatches! This may be a more appropriate design idea for a little girl. Although this is not a nursery per say, I like the non-matchy collection of furniture, the wall collage and the bright punches of color. 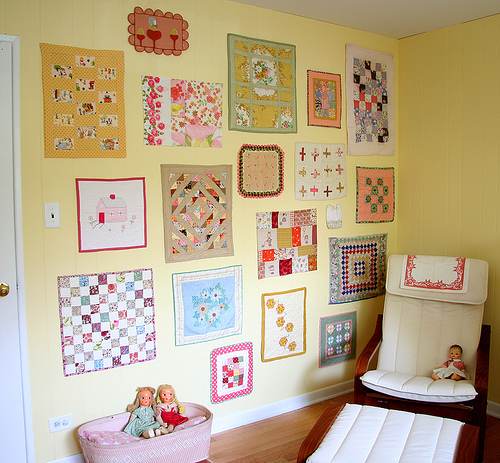 How fantastic is this collection of antique quilts instead of the conventional nursery artwork? I can't wait to start putting together all these random thoughts into that "imperfect" nursery that I know will be perfect for the lil' one. Don't forget to stop my my sister's blog All in a Day's Work for Mommy Monday posts and other encouraging words throughout the week. 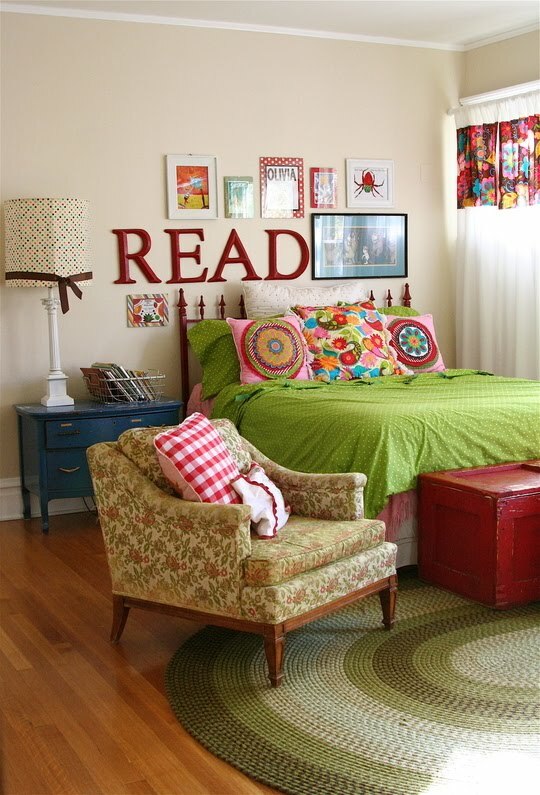 love the antique quilts on the wall! When Dave and I went to Ikea last, I saw this.....what do you think?